Compared to big brother India next door, Sri Lanka seems small. But this is one instance where size doesn’t matter. The island nation has been gaining increasing fame for its beautiful natural wonders – most notably its lush beaches – but the country also boasts ancient ruins, eight Unesco World Heritage sites, mountains laden with charming tea plantations and verdant jungles where elephants roam wild. Formerly known as Ceylon, the island has a history that dates back more than 2,000 years, and a diverse ethnic and religious complexion made up of Buddhist Sinhalese, Hindu Tamils, Muslims and mixed-race minorities. A British colony from 1815 until 1948, the status of English as a recognised language, the country’s cricketing prowess and its tea industry are colonial legacies of its former ruler. Before that, though, the Portuguese and Dutch ruled parts of the country. It’s this potpourri of different cultures and identities that makes the country so unique and diverse. Located on the southwest coast of Sri Lanka, Galle is a port town home to the largest fortress erected by Europeans in Asia. A remarkable 400-year-old construction built by the Dutch and Portuguese over a number of centuries, Galle Fort (Rampart St) is one of Sri Lanka’s World Heritage sites. Unlike many such locations, Galle remains a bustling community where people still live and work. The town is becoming a tourist hotspot and for good reason. The art scene is on the rise and the place teems with galleries and workshops, along with cafés and restaurants. There are interesting historical buildings aside from the fort, such as Sri Lanka’s oldest lighthouse (Rampart St; pictured) and the 18th century Dutch Reformed Church (Church St), which are both worth a visit. Other major places to hit up are the coastal ramparts and gun embankments, which offer spectacular views across the ocean, the Maritime Archeology Museum (Queens St) and the Historical Mansion Museum (31-39 Leyn Baan St), a renovated colonial house that features a collection of antiques, weapons, jewellery and craftsmen at work. 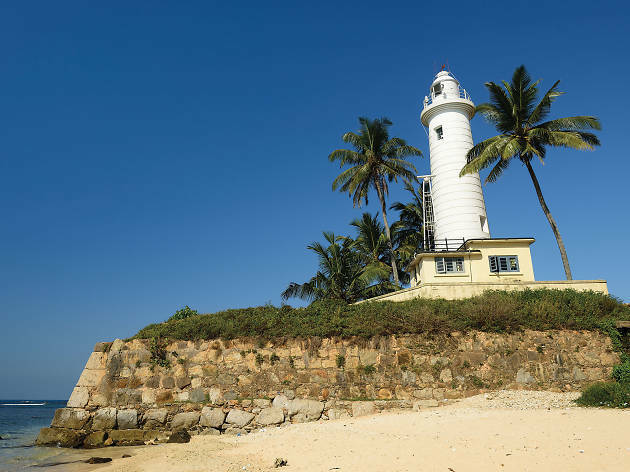 From Galle, head south along the coast to visit a stretch of small settlements and quiet beaches away from other tourists. 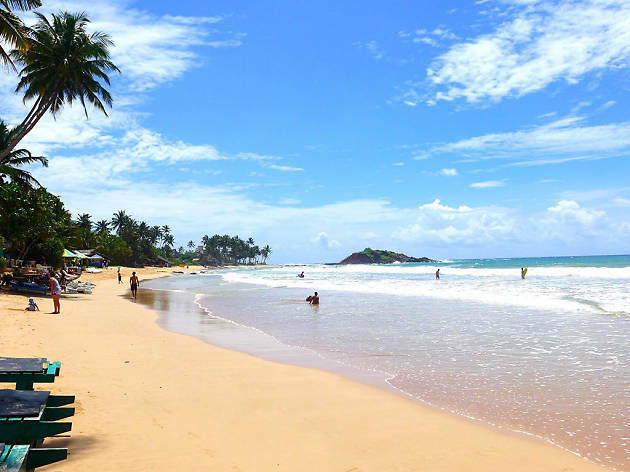 Mirissa, in particular, is worth making a beeline for. About an hour’s drive from Galle, Mirissa has a fine beach with a promontory that juts into the sea and is a good spot to watch the sunset. However, the main reason people come here is to embark on a boat trip to go whale-watching. During November to April and July to September, many whales, including the mammoth blue whale, swim through the Indian Ocean near Mirissa. There’s no guarantee you’ll spot any of these creatures – as we can unfortunately attest – but there are still turtles and spinner dolphins aplenty. Raja and the Whales (rajaandthewhales.com) is a reliable operator ($300 per person) and they offer half-price refunds if no whales come on the scene. After getting your fill of the coast, head north and into the mountainous interior of the country. Kandy may have a nice sugary-sounding name but it was a staunch bastion of native resistance against the Portuguese, Dutch and British, holding out for centuries until it was eventually captured in 1815. With a scenic lake at its centre, Kandy is renowned for the many cultural events that take place lakeside. The Temple of the Tooth (Sri Dalada Veediya; pictured) is the city’s most famous attraction, a stunning temple said to house the Buddha’s left upper canine. 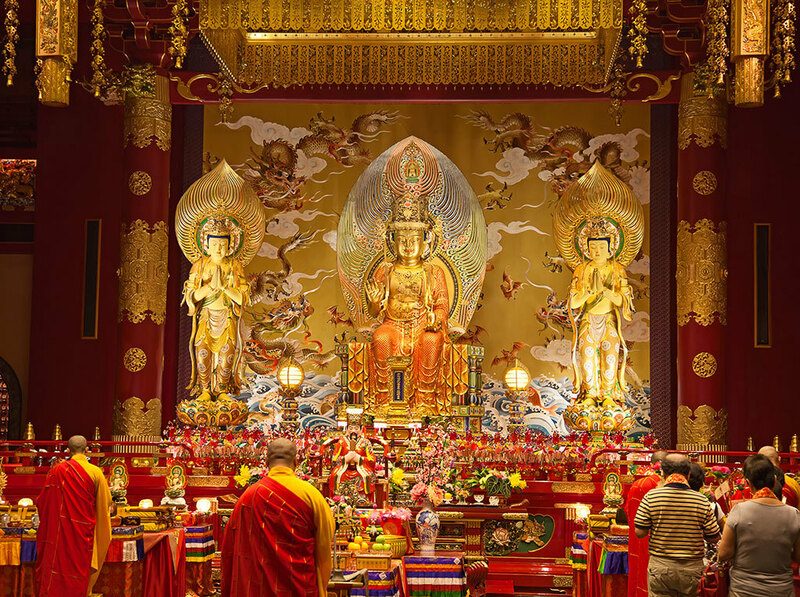 The Esala Perahera festival in July or August, depending on the full moon, is one of the biggest Buddhist festivals in the world and pays homage to this oral relic with elephant parades. Although the tooth is kept locked up for the rest of the year and is not on display, the temple complex itself, richly decorated on the inside in contrast to the plain exterior, is a sight to behold. The Royal Botanical Gardens (Peradeniya Rd, +94 812 388 088) and the Pinnawala Elephant Orphanage (B199, Rambukkana; nationalzoo.gov.lk) are other highlights of the former capital. The botanical gardens, found on the outskirts of the city, feature a vast and elegant 150-acre collection of trees and plants, including avenues lined by imposing 20m-tall palm trees, giant bamboo and a massive java willow tree built like a giant umbrella. There is also the astonishing or creepy, depending on how you feel, sight of hundreds of fruit bats nestled in the trees. Pinnawala, meanwhile, is something of a trek – it’s 41km away – but well worth the trouble. The sanctuary houses dozens of orphaned elephants rescued from the wild. Stick around for the day to ensure you’re on hand when the elephants are taken out of the compound to a nearby river to bathe twice daily. To find the ancient heart of Sri Lanka, head further north to find two famous World Heritage sites with more than 2,000 years of history. Two hours away, located near the town of the same name, is the Golden Temple of Dambulla (Jaffna Highway, Dambulla, +94 662 283 605; pictured). 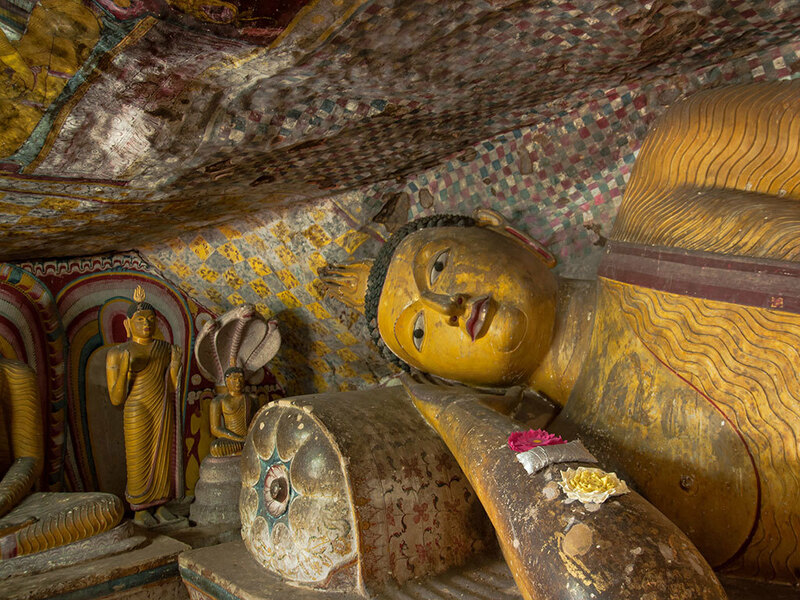 A place of pilgrimage for more than 22 centuries, this wonder is a cave complex built with some 2,100sq m of walls adorned with attractive Buddhist murals, as well as 157 statues of Buddhas and bodhisattvas. 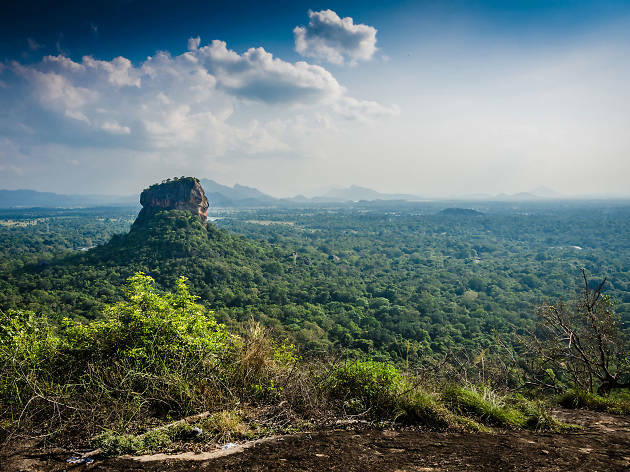 More immediately impressive is Sigiriya (Sigiriya, +94 662 231 815), a fortress built by a Lankan king over 1,500 years ago atop a massive 200m-tall rock, which provides a 360-degree view of the surrounding jungle plain. This giant, imposing monument is a grand and formidable sight, even after many centuries of abandonment. Although the fortress has long since fallen into ruin, you can wander among its pathways and enjoy the same fine views kings once did. On your way to the top, you can take in faded but atmospheric frescoes eroded by the passing of many years. The stairway that allows for ascension to the summit is flanked by two giant paws of the stone lion that gave Sigiriya the nickname Lion Rock Fortress. 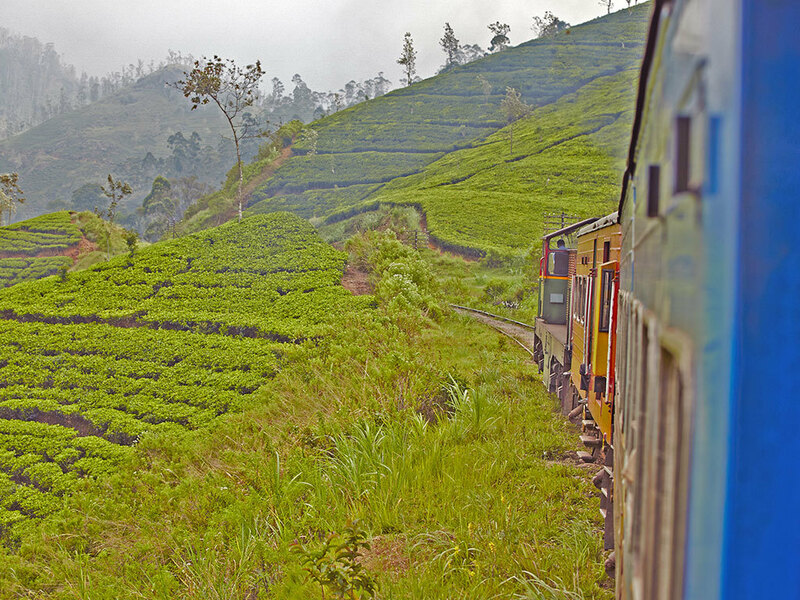 For less remote history, head to Nuwara Eliya in Sri Lanka’s hill country. Getting there means taking one of the world’s most scenic mountain train rides, which twists and turns up steep slopes and along deep valleys in front of hillsides carpeted in green tea leaves. The town itself, which sits at an altitude of 1,868m, is the centre of Sri Lanka’s tea industry, so make sure to visit a plantation. The Pedro Tea Estate (Nuwara Eliya, +94 115 352 225) is one of the more well known, where you can get a tour of the factory and watch tea plants being processed. Besides tea, Nuwara Eliya is famous for being a summer retreat for British colonial officials. You can find traces of this heritage in the charming red-brick post office, the bungalows that look straight out of a Victorian-era British village, the race horse track and the golf course. 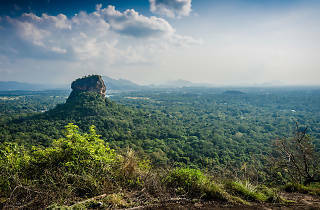 However, it’s nature you should strive to enjoy in this part of Sri Lanka. About an hour away by car is one of the country’s most impressive national parks, Horton Plains. It’s only accessible by car, so be prepared to shell out for either a cab (approximately $150) or a car rental. The effort is worth it though, as the views from the World’s End cliff are spectacular – on a clear day, the Indian Ocean, more than 80km away, can be seen and marvelled at. 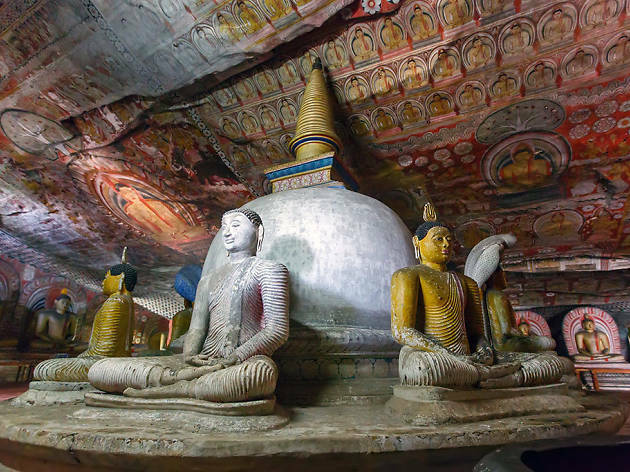 Fly direct to Colombo International Airport on Cathay Pacific (cathaypacific.com) with flights starting from $8,053 (inc taxes) or Sri Lankan Airlines (srilankan. com) from $3,455 (inc taxes).